These are the screens used to set up build concordances, as well as look at various properties of the concordance including profiles. 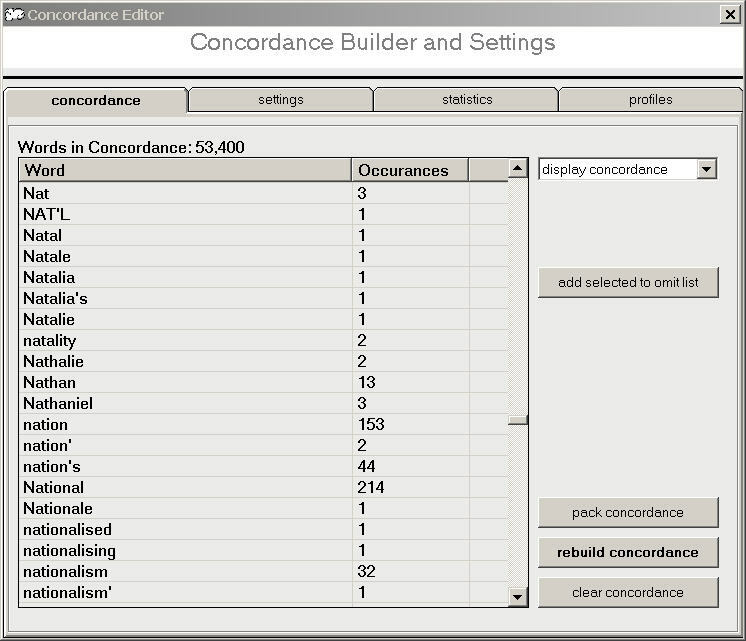 shows the first tab of the concordance utility, which displays the concordance word list and the controls for clearing, packing, and rebuilding the concordance, as well as removing words. 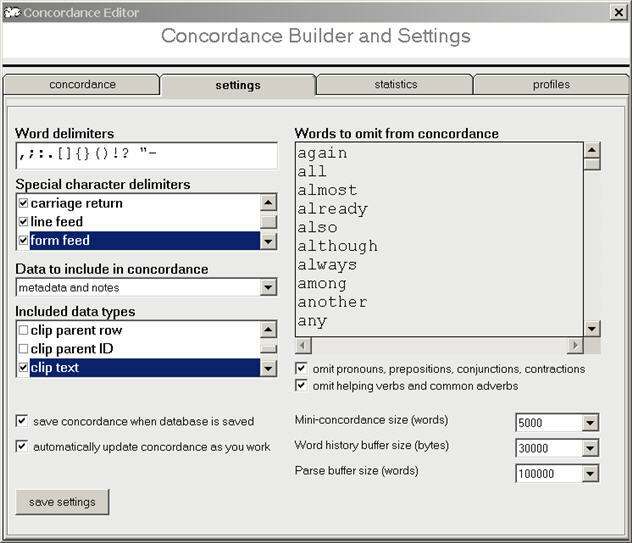 shows the settings tab of the concordance utility, which displays the various concordance settings: word delimiters, stop word list, internal buffer settings (for performance tweaking), and other settings. 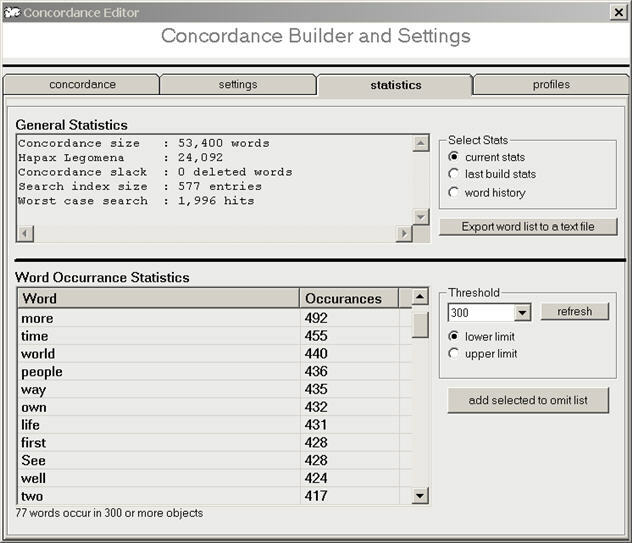 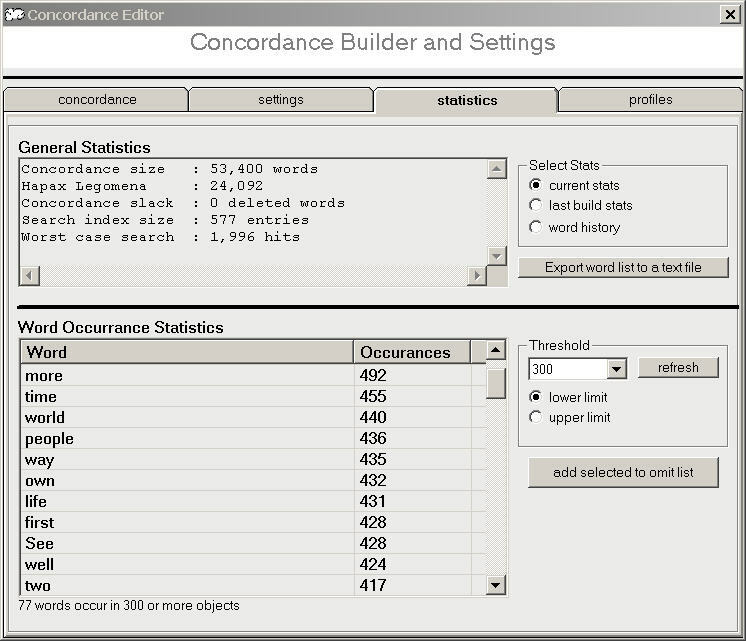 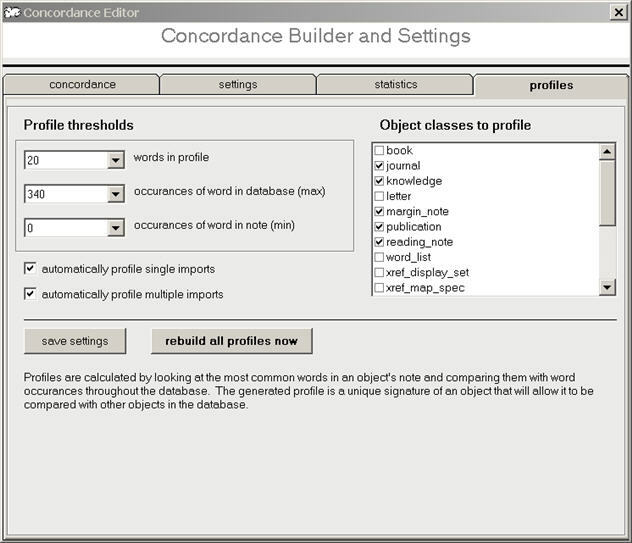 shows the statistics tab of the concordance utility, which displays various stats about the concordance: word and index counts, build results, add/delete word history. shows the profiles tab of the concordance utility, which allows you to define profile parameters and generate object profiles.